Oregon City Therapist: Diane Calder - Therapist 97045. Send A Message To Diane. Session Fees: My fees $80-$40, based upon what clients feel that they can pay. Christians can find it difficult to reach out and admit that they are in need. The benefit of finding that help through a connection with a counselor is the level of privacy. You can be assured that your struggles will remain private. Indeed, the counseling office is the one place where you can come and truly be yourself without judgment. Just as importantly, counseling gives people the opportunity to be the focus of the conversation and put their mental and emotional health. There are many reasons people seek out counseling. Some just want to process an experience that they are going through or have gone through. Others struggle with childhood trauma. Some have mental health disorders like depression and anxiety and need a counselor to support them through the day-to-day struggle. So too, people seek out counseling because they want to be held accountable for their behavior, their goal being change. If the previous paragraph relates to you in some way, I encourage you to reach out and see if counseling may offer you some benefit. At present, I am out of network. To counter this, I offer a sliding scale from $40.00 to $80.00. The fee is determined by the client at the first session. For those who want the insurance company to state out of their treatment, who have a high deductible, or who just want to keep their counseling services to themselves, a sliding scale can make counseling possible. Others may seek me out because the counselors offered by their insurance are either too busy to meet their needs or because there just wasn't that connection with the counselors offered. Besides offering a sliding scale, I also offer flexible hours. Working evening and some weekend hours, this offers a session time that meets the needs of those who have not been able to go to counseling due to, for example, their work schedule. Whatever the case I encourage you to find the help you need with someone. I may not be the counselor for everyone, but I do believe that there is a counselor for everyone. Credentials: Diane Calder is a graduate from George Fox University with an MA Clinical Mental Health Counseling. Having graduated, Diane is pre-license with the state, working on the final required hours of the state. 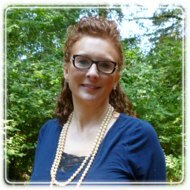 She works in a private practice in Oregon City, Oregon located in Revive Family Healing Center. The clinic is on 702 John Adams Street across the road from the Singer Hill Cafe and the Carnegie Library. Diane also has a degree in English and education with the State of Oregon, having worked as a professional in the field of education over 18 years.